As the UK’s departure from the EU edges closer, the government has taken steps to stop British citizens residing in Malta from voting in the forthcoming European Parliament elections. The move was made through an amendment to the European Parliament Elections Act, which was recently published in the form of a legal notice. While the law makes no specific mention of British citizens and the UK’s imminent exit from the EU, which will be triggered on March 29 unless the date is extended, it leaves little doubt about its scope. The law lays down that “in the event that a state ceases to be a member state of the European Union, the Electoral Commission shall proceed to cancel from the European Union electoral register any such persons who are solely registered in that register by virtue of their being citizens of that state which has ceased to be a member of the European Union and this without any further notice or proceedings”. All other foreign EU citizens will be unaffected by these changes. Scheduled for May 25, the European Parliament elections will, for the first time, be held concurrently with council elections across all 68 localities in Malta and Gozo. 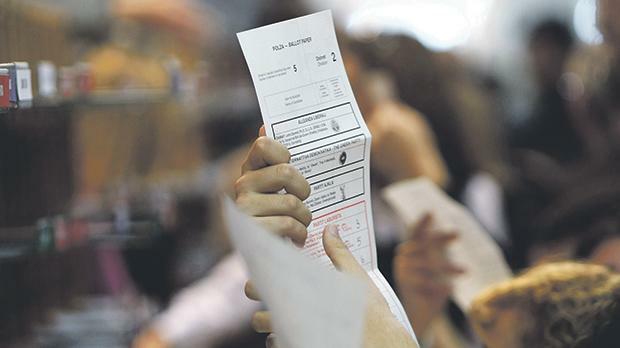 In the 2014 European elections, 344,356 voters were registered, of whom 74.8 per cent had exercised their ballot right.